For taking care of fragile hands. Rich texture. Soothes skin irritations and leads to the diminishing of feelings of discomfort. The external stress that our hands are regularly exposed to severely dehydrate them. Thanks to its nourishing and hydrating active ingredients, METEO LOGIC certified organic Hand Moisturizing Cream makes redness, rough patches and discomfort disappear. 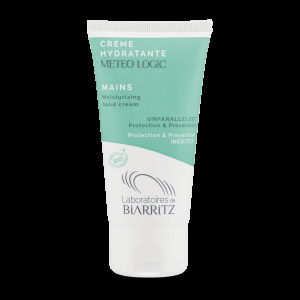 The formula of METEO LOGIC Hand Cream regenerates the epidermis and also makes up a protective shield: the invisible layer it leaves on the surface of the skin, with its special active ingredients including Alga-Gorria®, protect against external stress and premature skin ageing. Alpha-bisabolol soothes more reactive skin. For all skin types. "I'm a real devotee of this product, I love the smell and non greasy texture. My skin feels supple and moisturized". Non-intense dehydration: apply before going to bed for all-night long soothing and moisturizing effect. 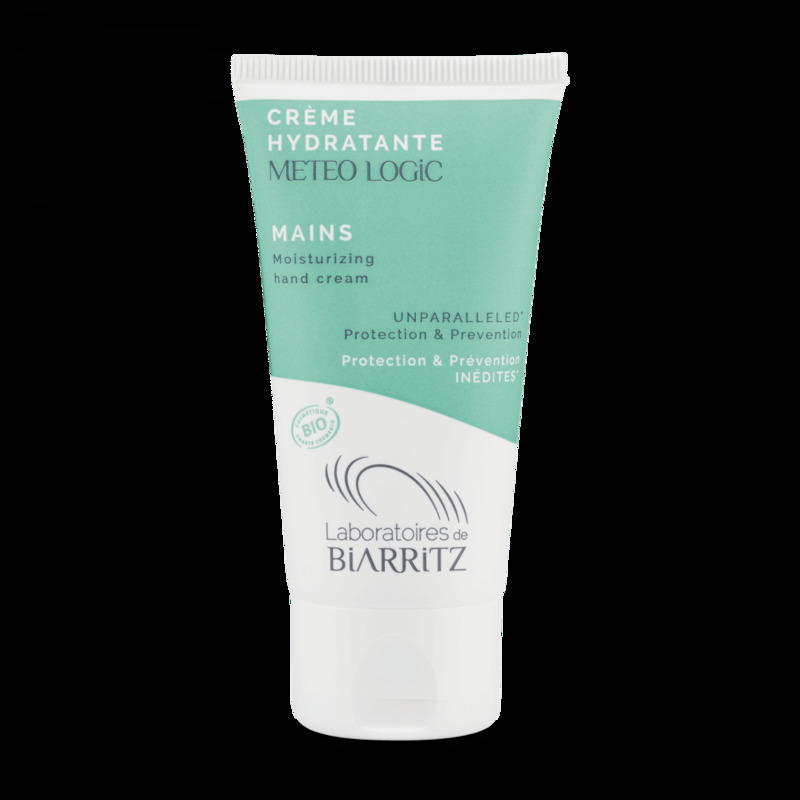 METEO LOGIC® Hand Moisturizing Cream is ideal for taking care of hands fragilised by exposure to external stress (cold, dryness, frequent washing, etc). Discomfort, redness, and roughness disappears thanks to its moisturizing, soothing, and nourishing ingredients. Its rich and creamy texture provides immediate relief.